So, I’ve been stuck in a bit of a creative lull of late; spending a lot of time thinking about writing but not doing much actual writing at all. Then, as if by divine intervention, I was in a craft shop in Belfast today buying feathers (life as a PR consultant leads you to buy all manner of random items) and I spotted these little beauties on a stand beside the till. 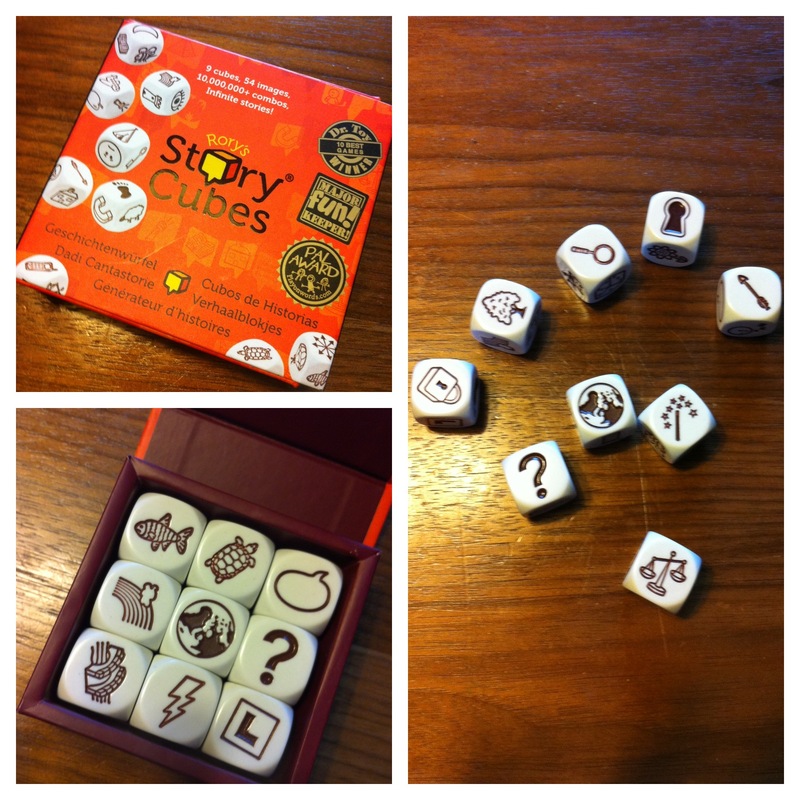 I had heard about Rory’s Story Cubes – the multi award-winning storytelling game created by Northern Ireland man, Rory O’Connor – quite some time ago, but I’ve never seen them up close. The nine dice like cubes contain a different picture on each of their six sides; the aim of the game to create a story connecting each of the nine images. The pack boasts that there are millions of possibilities – I’ve never been great at maths but when you sit and think about it, there really are. Story Cubes have proved particularly successful as a teaching tool, helping to encourage creativity in children, picking up numerous top toy awards over the last few years. I’m hoping they might spark my creativity and ignite my imagination too. I’m going to try my hand at a few short stories this weekend, using the cubes.